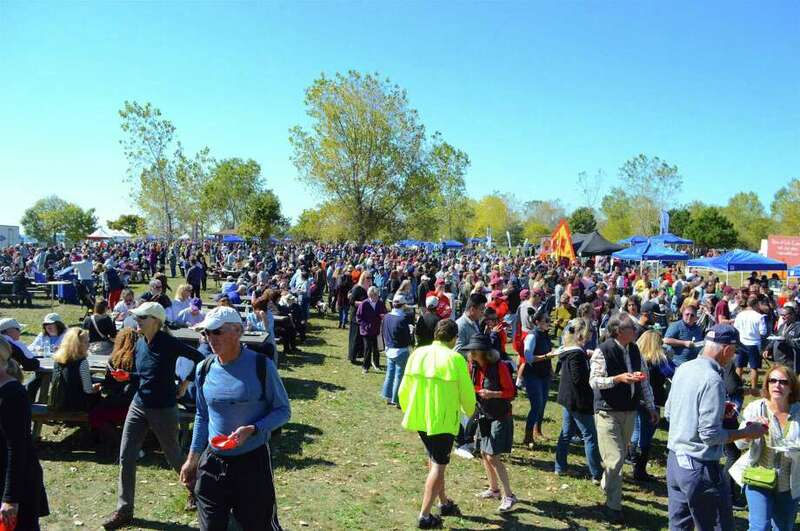 Organizers estimated around 10,000 people came out for the 10th annual New England Chowdafest, Sunday, Oct. 1, 2017, at Sherwood Island State Park in Westport, Conn.
WESTPORT — Around 10,000 people brought their appetites to Sherwood Island State Park Sunday afternoon for a food festival extravaganza. The 10th annual New England Chowdafest, presented by Stop & Shop and created by Fairfielder Jim Keenan, brought together some of the best bisques and chowders from around the country to compete, as well as satisfy. Best of all, the event helped raise money for several charities, including Food Rescue US, which addresses hunger in five states.